What are you worried about? Don’t worry; take action! I think we all worry sometimes, don’t you? We worry about our health, and the health of our loved ones. About our appearance, and how we measure up to others. About money, and how our businesses are doing. About whether or not we’re being good parents. We worry about (fill in the blank). And what does worrying do to us? It causes stress, sleepless nights, stomach aches, arguments, etc., and sometimes it causes us to not enjoy life’s pleasures…..yes? So, who am I to tell you to stop worrying? Naturally, I have problems too, and I worry about them, but I think I worry less than others do because of the methods I use that I will tell you about. I want you to start thinking about worrying as a form of clutter. Clutter takes many forms. Little things like paper; big things like furniture; negative thoughts; and unfulfilling activities. Clutter weighs us down. Physically, mentally, emotionally, and spiritually. Everyone deserves to feel lighter. My logo, the egret taking flight, represents the freedom of rising above your clutter! 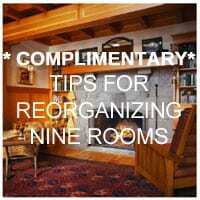 Less clutter in your home, your office, your schedule, and your mind means more room for the life you want to live. Less clutter. More life. 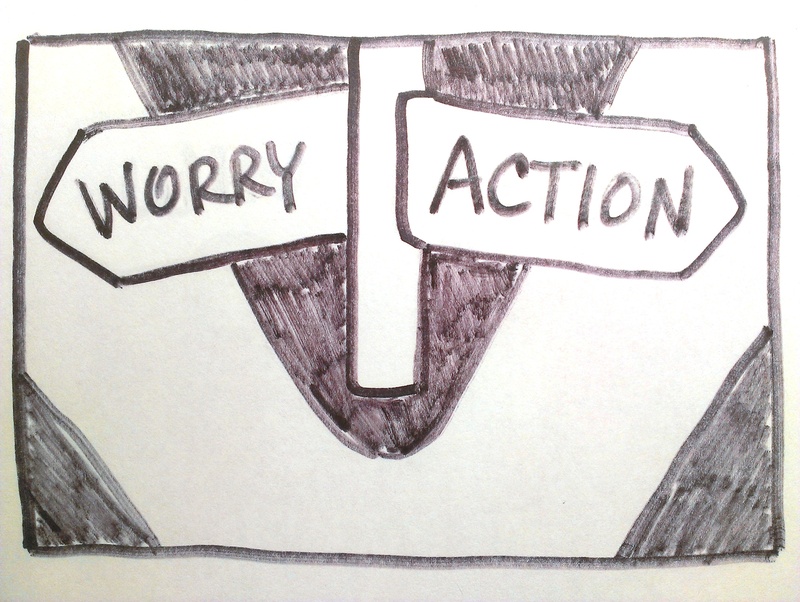 So, it’s easy for me to say that worrying is just Mental Clutter, but what do I propose we do about it? Let’s talk about positive words first. I’m thinking of positive affirmations, inspiriting quotes, prayer of all kinds…do you believe in those things? Do they help motivate you, and encourage you, and lift your spirits? Now, what about negative words? How about verbal abuse from others? And what about negative self-talk? Do you think negative self-talk tears us down and affects us as much, and possibly more, than negative talk from others? And watch your character, for it becomes your destiny. Do you agree with that? I sure do! If you think you can manifest something positive by thinking, and talking about, and envisioning it, do you believe you can also manifest something negative by thinking, and talking about, and envisioning it? Worrying is like praying for something you don’t want. And why on earth would we want to do that? If you believe in the power of thoughts and words, that’s what you’re doing…aren’t you? Paying undue attention to, and repeating over and over, the thing you don’t want? If worrying helped, believe me, I’d recommend doing it more often! The first step in dealing with Mental Clutter is to identify what you are worried about. It could be fear, regret, anxiety, shame, guilt…and, actually, it’s fear about a thing, or regret about a thing. It’s that thing you need to identify, and the more specific you are, the better your chances are of doing something about it. The next step is to decide: Can you do something about it? Or not? The Worry Matrix will help you decide what’s worth worrying about. This is probably the hardest part of the whole process. Because sometimes we feel powerless. We don’t know if we can do something about it or not. Sometimes we need help figuring that out. Sometimes it’s become such a habit to worry, and we are so busy worrying, that we don’t stop to think whether maybe we could do something about it. Part of this step can include determining whether or not your fears are realistic. If you’re anxious about the future, being prepared for actual, likely events is the key to a peaceful mind. But the bottom line is: If you are having persistent, worrisome thoughts about something, ask yourself: Can I do something about it? If you aren’t doing anything about it — or if you can’t do anything about it — it’s just Mental Clutter. If you think you can do something about it – great! Take action! The pure fact that you are doing something about it will help you to not worry about it so much. Research your situation; Make a plan; Set some goals; Do or delegate a dreaded task; Document vital info; Save money, Make that appointment, Have that awkward conversation. Refusing to forgive someone is like drinking poison, and waiting for the other person to die. If you regret the past and feel guilty about something, but there’s nothing you can do about it, forgive yourself and move on. Remember, you know better now. One of the reasons why it is so hard to part with your mental clutter is that you’re afraid of not having, or being, enough. Is this because you are comparing yourself to others? Stop it! Have a little faith in yourself. Grass is greener where you water it. Don’t compare your bloopers to someone else’s highlight reel. but on her own wings. What does this mean? Some people would rather trust in God than to trust in themselves. For those of you who want to trust in God, that won’t hurt either. But you still need to do your homework and take action. Have you heard this expression? Trust in Allah but tie up your camel. If you really think you cannot do anything about it, then stop worrying about it! A good example of something you cannot change is someone else’s behavior. Are you familiar with The Serenity Prayer? That’s what I’m saying too: Accept what you can’t change, and change what you can’t accept. Get help if you really don’t know the difference. Focus on things you are grateful for, and on the things you can change (such as your own behaviour). Examples: preparing for emergencies; planning for your financial future; repairing (or releasing) damaged relationships; and addressing health issues head on. If the task ahead seems daunting, break it down into smaller steps. Do them one at a time until you are finished, or you feel prepared, or you have established the new habit that will improve your life and help you worry less. So, what if, despite your best intentions, you are still living with Mental Clutter? If you have tried taking action on things you can change, and you have tried not worrying about things you cannot change… and you are still worried, ask for help from a friend, therapist, clergy member, or someone who can help with your specific situation – like a doctor, a financial planner, a personal trainer, an attorney, or a professional organizer. Have those difficult conversations! Make that appointment! Believe in yourself. And live your life free of Mental Clutter! What are you worried about? What action are you going to take? Please share with me in the comments! Let me know if this helps you, and share it with your friends who may need it. Copyright 2015-2016 by Hazel Thornton, Organized For Life. This is a valuable lesson! Worrying about something too much can be immobilizing, but if you do even one thing about whatever it is that’s worrying you, you’re seizing control of the situation and taking one step in the right direction. I totally agree with you. I think worrying and procrastination come from similar problems, not knowing what to do. Once you take a step things get easier to take the next step. I agree with this whole post. It shows how much of life is really a “mental game.” What we allow into our thoughts, what perspective we invest energy in maintaining, where we put our time. It isn’t easy to stop worrying, as it is also a habit that is hard to break. I appreciate these tips for putting boundaries on it and moving forward in a productive way.